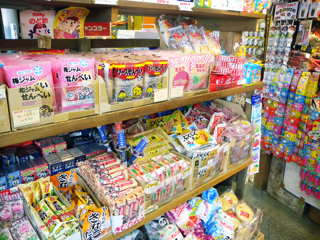 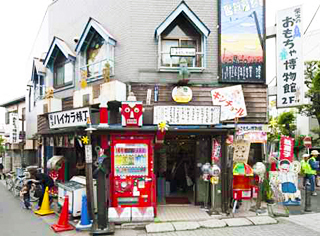 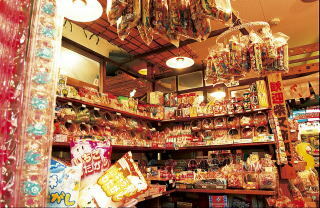 In a retro shop that carry flavor of Showa period (mid-20th century), you will find variety of cheap sweets and toys. 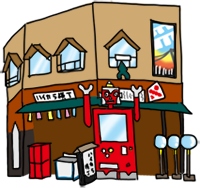 You can enjoy nostalgic pinball game and/or invader game. 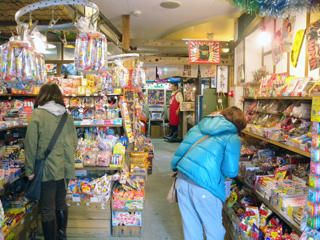 On the 2nd floor is a toy museum with full of nostalgic flavor of Showa period.